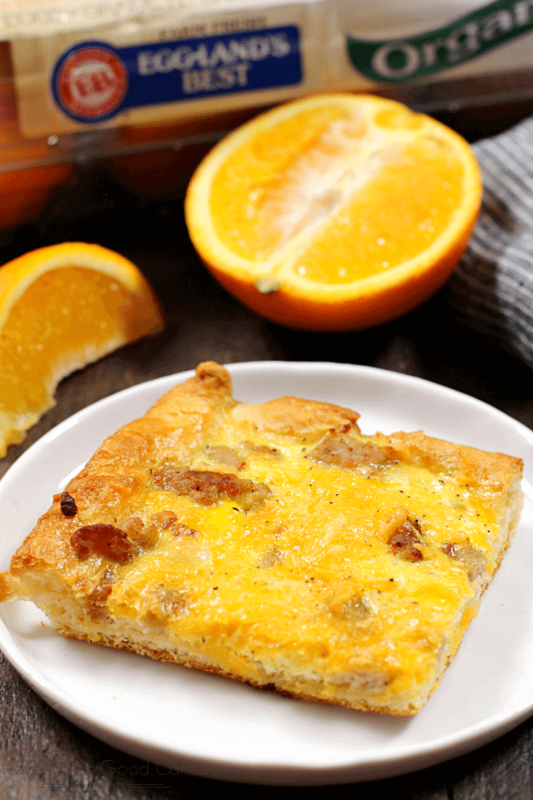 Your weekend brunch just got a whole lot tastier with this Brunch Pizza! See why it’s a family favorite! If you have followed Love Bakes Good Cakes for any length of time, then you know I am the polar opposite of my family when it comes to breakfast food. They could eat it all day, every day …. me, not so much. To be honest, a few years ago, I had to force myself into being a breakfast person – and it wasn’t easy. These days, I’m a big fan of smoothies and overnight oatmeal – and I absolutely love avocado toast with fresh tomatoes and an egg on top! Yum! I occasionally eat scrambled eggs with rice and veggies (another favorite!). Most days, I feel like I’ve come a long way with breakfast! Years ago, I started the tradition of making a for real, sit down Sunday breakfast for the family. Judging by the way the family devours everything, I’m guessing they look forward to it. 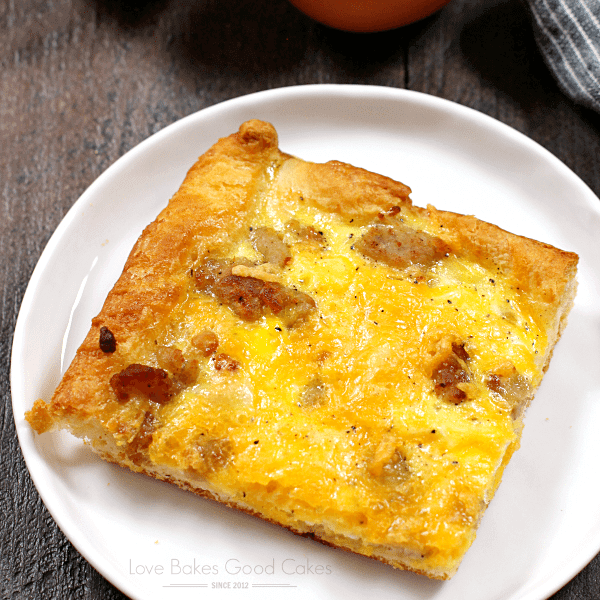 😉 This Brunch Pizza Recipe is a favorite because it is so quick and easy – and it’s so easy to customize! One thing I never compromise on is my eggs! 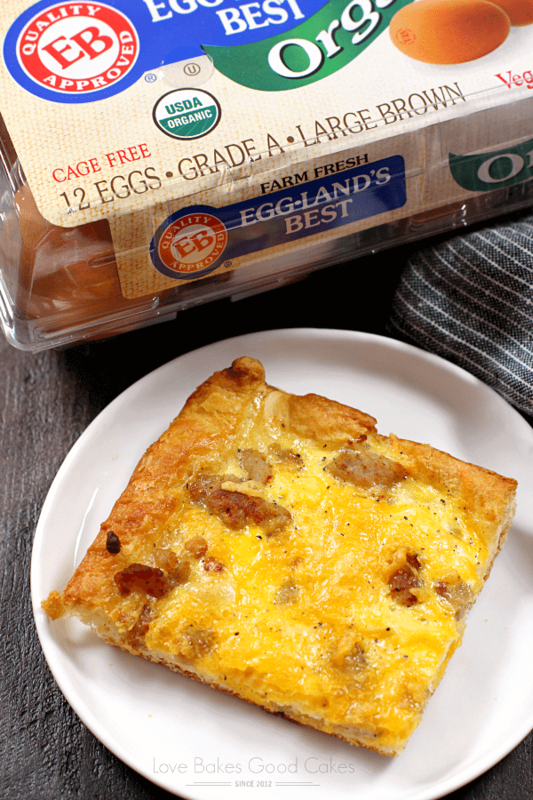 Eggland’s Best Eggs are the brand my family loves. Compared to ordinary eggs, Eggland’s Best eggs contain five times more vitamin D, 25 percent less saturated fat, more than double the Omega-3s, ten times more vitamin E, and three times more vitamin B12. Eggland’s Best’s superior nutrition is due to its proprietary all-vegetarian hen feed that contains healthy grains, canola oil and a wholesome supplement of rice bran, alfalfa, sea kelp and Vitamin E. In addition, independent testing has revealed that Eggland’s Best eggs have stronger shells than ordinary eggs, which leads to less breakage and helps them stay fresher longer than ordinary eggs. Eggland’s Best Eggs is celebrating 25 years of providing a better egg with superior quality, freshness, nutrition and taste. Be sure to enter the 2017 Eggland’s Best Foodtography Contest by creating and sharing your own original recipe, featuring a minimum of two whole Eggland’s Best eggs. Visit www.egglandsbest.com for 25th anniversary inspired recipes and more information. Visit www.egglandsbest.com/foodtography from February 16th to April 12th, 2017 and submit two mouthwatering foodie photos of your dish that includes at least two whole Eggland’s Best eggs into one of four categories mentioned below. You may submit up to two photos in each of the four categories: Brunch, Appetizer, Main course, and Dessert. 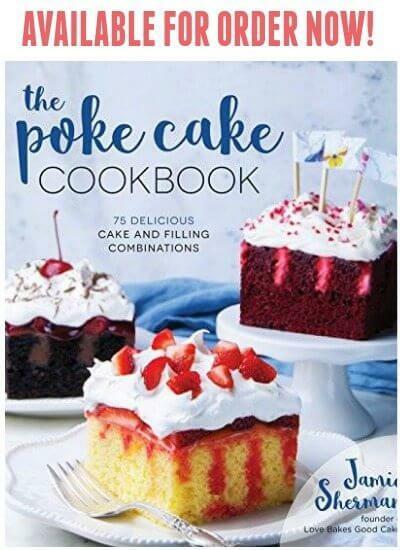 My friends at Eggland’s Best are also sponsoring a giveaway for ONE lucky Love Bakes Good Cakes reader to receive a $25 Visa gift card and one (1) coupon, valid for a free carton of Eggland’s Best eggs. Be inspired to create your own delicious and nutritious recipe using the best quality ingredients, including Eggland’s Best eggs. Your weekend brunch just got a whole lot tastier with this Brunch Pizza! See why it's a family favorite! Preheat oven to 400°F. Spray a 13x9x2-in. baking dish with cooking spray. Unroll the crescent rolls into pan. Press dough evenly on the bottom and slightly up the side of the pan, making sure to seal the seams. Sprinkle the cooked sausage or bacon over the crescent rolls. In a medium bowl, whisk the eggs, milk, and pepper until combined. Pour the egg mixture evenly over the crescent rolls. Sprinkle with cheese. Bake uncovered for 15-17 minutes or until golden brown and the cheese is melted. To serve, cut into squares. Serve immediately. Great recipe! 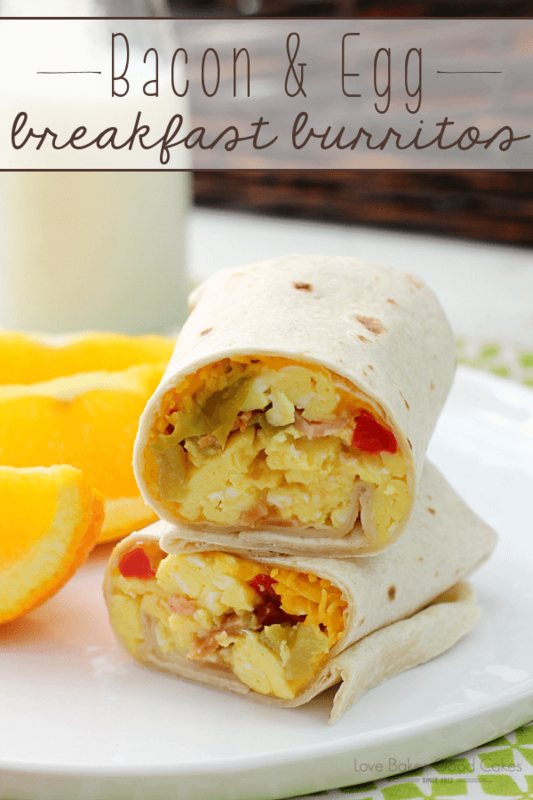 My kids would really enjoy this for breakfast one morning. Thanks for sharing and congrats on your new computer. Yum, I'll give this a try when my daughters are home for Christmas. Technology and FB are such love/hate relationships but sounds like yours is more on the loving side now. Happy dance for sure! Darn Facebook, the brunt of all evil….But the brunch pizza looks amazing. Thank you for sharing at Foodie Friends Friday. You know I love sausage.. 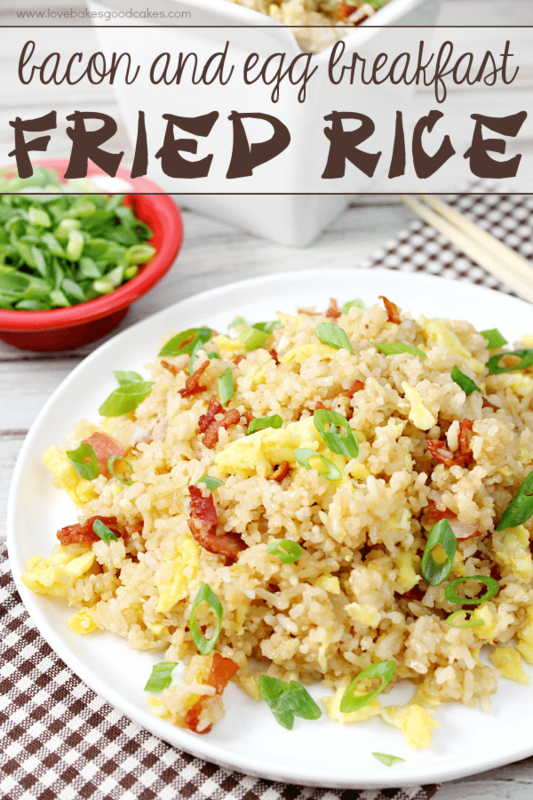 I love how quick and easy this recipe is…great for a brunch too. Thanks for sharing it on foodie friday. Sausage and bacon, please! I can't pick one over the other. Glad you can laugh about the FB debacle. Funny how food can make us recall so many things. Thanks for sharing this week w/ See Ya in the Gumbo. Mmmm, easy enough to make during the week! The family would love this. 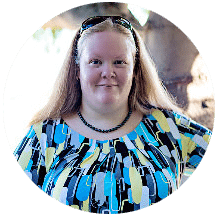 Thanks for sharing at the Adorned From Above Blog Hop. 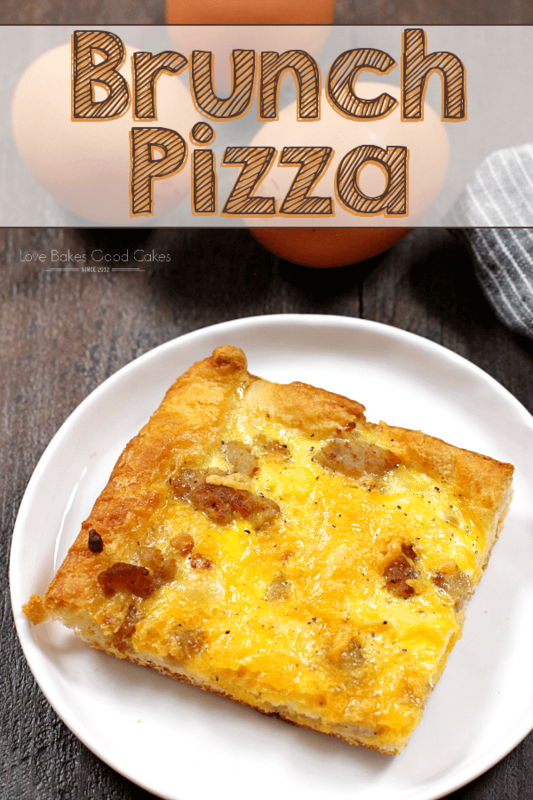 Great recipe Jamie, we will really enjoy these breakfast pizza's. Hope you have a great week and thank you so much for sharing with Full Plate Thursday. This looks really good also. Thanks so much for sharing at Wednesday's Adorned From Above Blog Hop. YUM! You come up with the most scrumptious recipes! 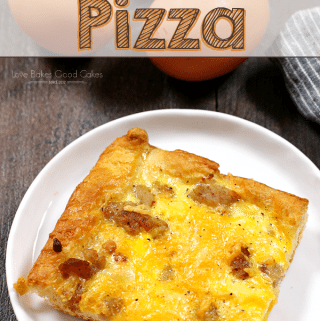 I can't wait to try this one because I LOVE pizza and had my first store bought breakfast pizza a few weeks ago and it was delish! Thanks for sharing at Creative Thursday 🙂 Have a great week. Wow, It's so fast to make 😮 Thank you for sharing the recipe! This pizza is the best for breakfast.